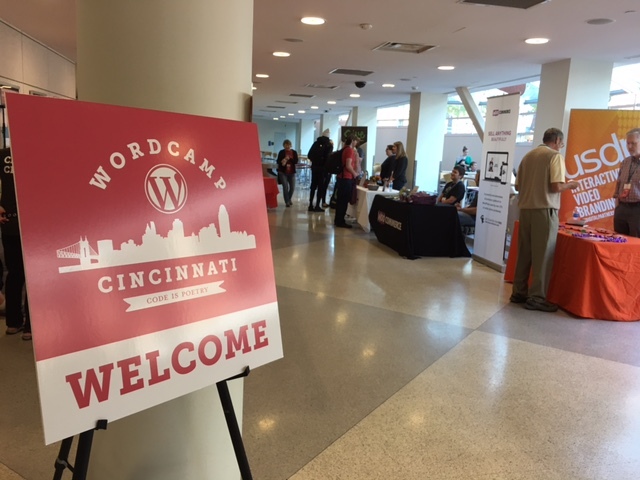 Despite being its first camp, WordCamp Cincinnati had a healthy complement of sponsors present, complete with tables of swag to reward the savvy campers with their various treasures. I found the Give folks and made sure to catch up a bit with that friendly tribe. 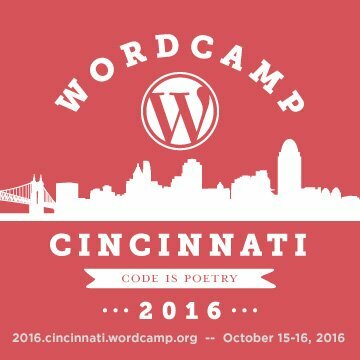 To date, I hadn’t actually become particularly acquainted with the WCCincy organizers. Fortunately, the volunteers were keen to find me and give me a warm welcome. It came as a surprise that I’d traveled all the way from Arizona. 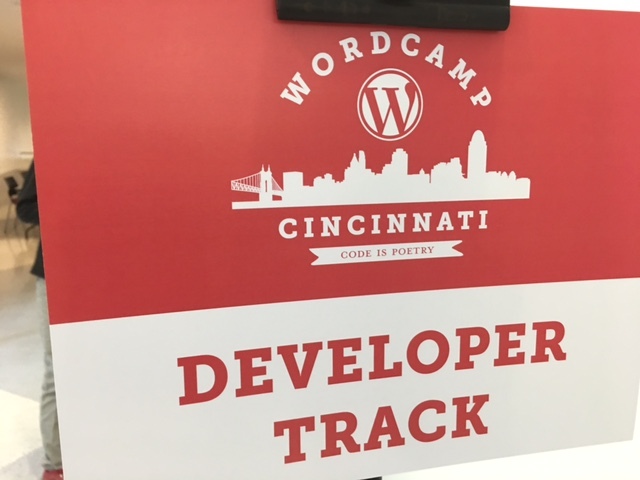 Since I had missed the first day of the camp, I’d have some heavy catching up to do, especially since I’d be speaking soon in the Developer Track. Two days of interstate camps and two talks meant I needed to stay on my toes as well. Time to drink a Red Bull and off I go! 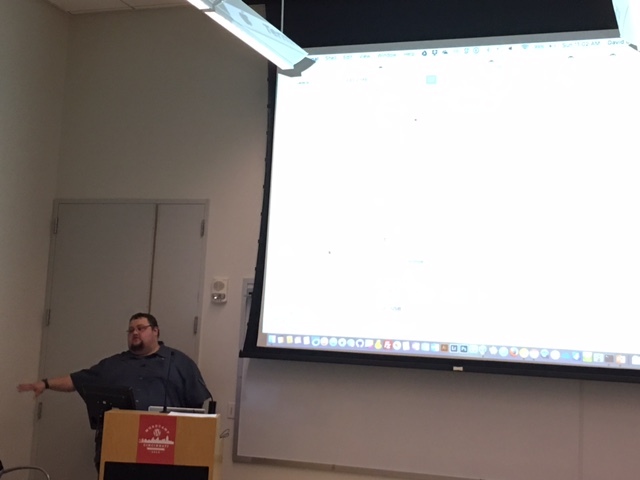 The organizers asked me to present WordPress Security: Plugins & Beyond just before lunch. One of the nicest parts about speaking at inaugural camps is that the attendees spend a lot more time in the talks, at least in my experience. This often means a substantially larger audience during talks, and mine was no exception. I spoke for a full hour, then stayed an additional 20 minutes answering security questions after the session. With my tight schedule, I didn’t catch as many talks as I would’ve liked, but I did squeeze a couple in before spending some time entertaining some conversations in the lunch area / Happiness Bar. 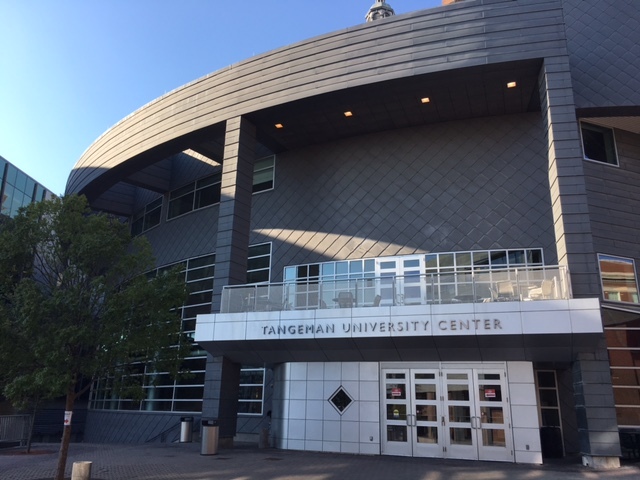 Closing this last weekend after two inaugural camps, I can’t tell you how much I enjoy answering questions and helping to educate others on the subject of website security. When you see me at your next camp, in that fashionable red SiteLock shirt, be sure to strike up a conversation. I always enjoy a good security chat.